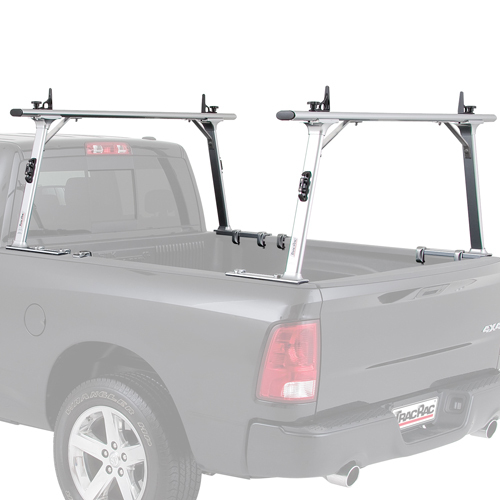 TracRac Pickup Truck Racks are rugged, durable, equipped with accessories, and manufactured in the USA. 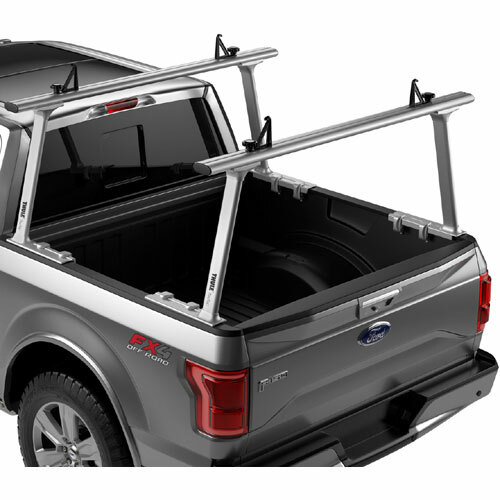 The TracRac line of slick looking aluminum pickup truck racks are available in several styles to carry ladders, lumber, pipe, kayaks, canoes, building materials and other gear. 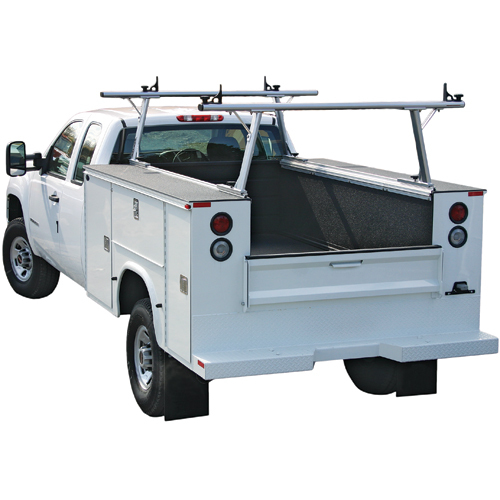 The TracRac G2 Sliding Aluminum Rack is our top of the line truck rack and has a 1250 pound load capacity. 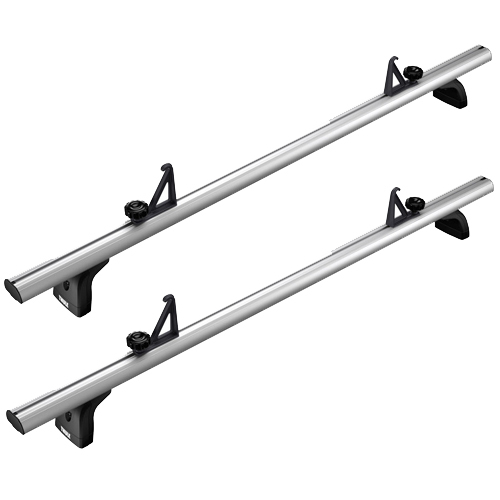 The TracRac G2 Sliding Aluminum Rack can be adjusted in length along heavy-duty base rails or quickly removed. 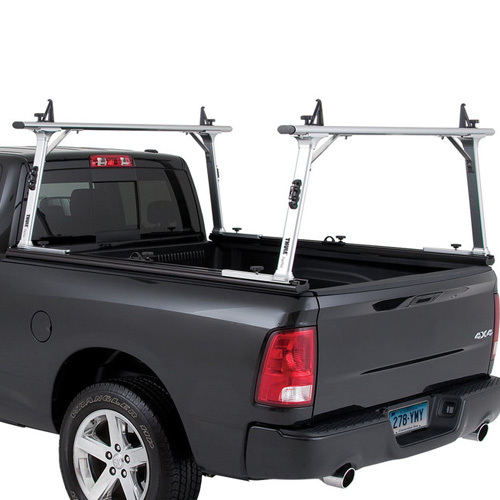 Clamp-on TracRac pickup truck racks like the G2 T-Rac and TracOne, C-clamp to the corners of your truck bed. TracRac CapRac is available for fiberglass pickup truck camper shells, toppers and caps. TracRac CabRac Window Guard is in stock to protect the cab and rear window of your pickup truck from shifting cargo. TracRac Accessories include window screens, base rail tie downs, crossbar tie downs, tool box mount kits, kayak saddles and more. 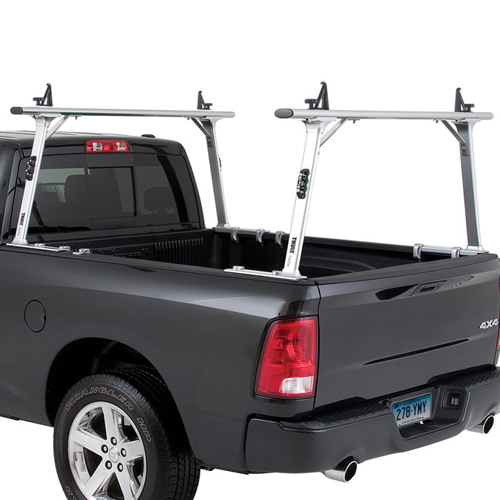 The Rack Warehouse stocks all TracRac Pickup Truck Racks and Accessories.